Mercer County Park | JORBA - You Dig? 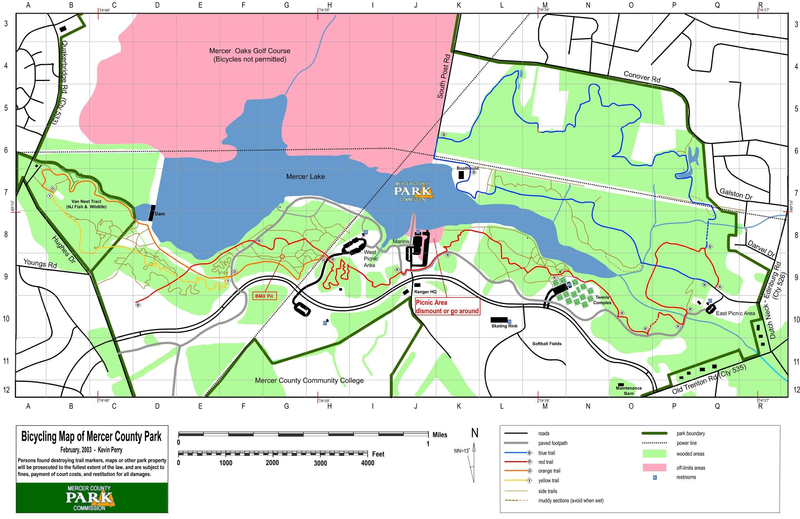 Mercer County Park land was acquired between the late 1960's and the early 1970's. It consists of 50-plus pieces of property, which included many farms. Ground was broken for the lake in June 1971. Because of the construction of Routes I-95 and I-295, the lake basin was excavated at no cost to the county. The county sold the gravel to the highway contractors, which in turn helped excavate the basin now known as Lake Mercer. At the rear of excavation there was one truckload of gravel leaving the area per minute from 7:00AM until 7:00 PM, six days per week. Today, Mercer County Park encompasses over 2,500 acres covering areas of the Townships of West Windsor, Hamilton and Lawrence. The Park has year-round facilities for all ages and includes both active and passive recreational opportunities. Blue - Information coming soon. Red - Information coming soon. Orange - Information coming soon. Yellow - Information coming soon.